Exercise : which is essential for not only weight loss but also for normal functioning and movement of the body and is considered one of the most effective as well as natural methods of weight loss and body toning. The only problem with this method is that it is very time taking and results are unpredictable. Also, the individual has to work very hard and show a lot of dedication and discipline to achieve the goal. Lipoplasty : Lipoplasty is one of the most reliable and fast methods of fat removal. But there are a few drawbacks associated here too. It is an invasive procedure and has to be done under general anesthesia. There are good chances of development of complications during and after the procedure. The healing time is around two weeks. If not done properly, the result may be unsightly. Coolsculpting : this method is in much demand these days. The method involves freezing the fat of a particular area so that the fat in the cells crystallizes and the fat cells die. These dead fat cells are then scavenged out by the white blood cells. The skin and other tissues need much lower temperature to freeze and therefore suffer no harm of any type. 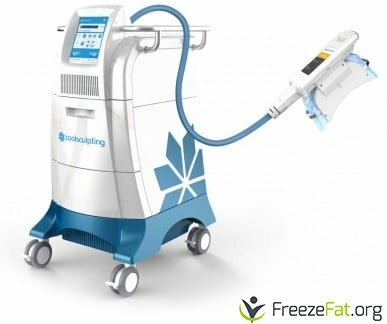 Coolsculpting is a very unique concept, the technology was developed by the doctors at general hospital of Harvard University. The inventory for this technique consists of a big machine with a cord which has an attachment which is applied to the skin of the target area and the procedure is done. The number of times you have gotten the fat reduction treatment done in the past : The fat reduction procedure create scars in the fat tissue layer which are resistant and do not yield easily leading to more sittings than those who are getting the cool sculpting procedure for the first time. The amount of fat deposited : the more the fatty layer the more will be the sittings. Around 20% of the fat cells are removed in one sitting of the procedure. This makes the removal of fat cells a little slow process but has a long lasting effect.  Target site : there are a few target sites which are more redundant than the others and those redundant sites will require more sittings than the other sites. The coolsculpting concept is an amazing one and offers a wonderful, painless and much effortless procedure for the reduction of fat. The one time procedure is enough for treating 20% of the fat cells. In about four weeks’ time, the effects start to show and the major effects are seen at the end of six months. The main mechanism of action is through freezing the fat in the fat cells at a lower temperature than that required for other cells. In due course of time, the fat cells break down and the white blood cells take away and dispose off the remnants of those cells. When you decrease the fat content by doing exercise the only effect that is seen on the fat cells is that of shrinkage. But with this procedure, the number of fat cells are reduced considerably making it impossible to gain that weight again even if you gain at all. While with exercise, it always remains a possibility that your fat cells regain that size and all your efforts go down the drain. The results of coolsculpting are near to natural and since there is no scar formed. The skin remains smooth as ever. This is the only non-invasive procedure which has been given a clean chit by the Food and Drug Administration. This was a very ambitious research project of Massachusetts general hospital and is running successfully as yet. The procedure does not cause any considerable discomfort except for some redness in the area that is treated and that too goes off after some time. The coolsculpt technique should always be done by a trained healthcare professional if good results are desired. They should be aware of all the minute details of the procedure and other aspects related to it. The cost of coolsculpt is dependent on the doctor you choose. If the doctor is experienced and has done several procedures before, he may charge more. The area in which the labor charges are more, you can expect the procedure to be expensive. If the fat content or the area is more, the cost of the procedure will go up because you will require more sittings to get the desired goal. All in all, the procedure is simple and harmless and gives great results.